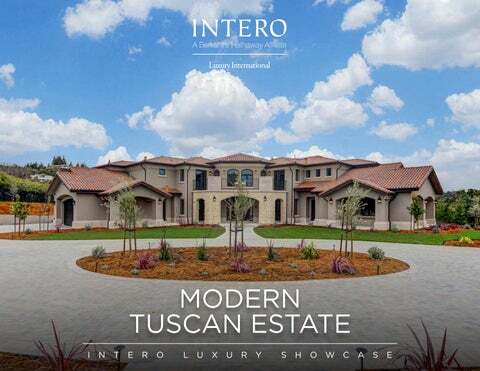 An Exquisite Modern Tuscan Estate Situated on Mostly Flat 2.25 Acres in Los Altos Hills! An Elegant Main House with 6 Bedroom Suites, 6 Bathrooms, 2 Half Baths and a 3 Car Garage, A Beautiful 2 Bedroom Guest House with a 2 Car Garage, and A Perfect Pool Cabana with a Full Bathroom, totaling over 9,500 sq ft of Tranquility in the 3 buildings. Spectacular Entrance Foyer and Great Room with Soaring 22 ft High Ceilings, A fabulous Gourmet Kitchen with Commercial Grade Appliances, A Separate Media Room and A Den, A Luxurious Expansive Master Suite With 2 Very Spacious His and Her Closets and a Retreat, Amazing Outdoor Kitchen and A Stunning Pool And Spa, Ideal for Entertaining! Breathtaking, custom built Tuscan Villa sitting atop your own hill with 360 degree, captivating views of rolling hills, vineyards and the Rosewood CordeValle Golf Resort. Whether youâ&#x20AC;&#x2122;re looking for a private, tranquil place to call home, a vacation home, or a place to host your family or company events, this home will make any occasion unforgettable. You will marvel at the features of this 5 bedroom, 6 bath masterpiece, featuring a grand circular driveway, 25 foot ceilings, a fluid floor plan, tranquil courtyard with an opulent water feature, separate guest suite, ample wine cellar, art gallery hallways, and multiple covered verandas. An EV charger, golf cart, custom cabinetry, gourmet kitchen with high-end stainless steel appliances. Remodeled and expanded, this bright, open, and spacious home is ready to meet a variety of lifestyle needs. Refinished hardwood floors, vaulted ceilings, and fresh paint in a designerselected palette create a warm and welcoming ambiance the moment you step through the door. Gatherings of any size are easily accommodated by expansive living areas, while the open and inviting kitchen is well-equipped to cater it all. The two-level floor plan comprises 4 bedrooms, including a main-level master suite, plus there is a wonderful office or playroom upstairs. Outdoor entertaining is a dream in the private rear yard that includes a large patio, spa, and built-in barbecue center. The detached 2-car garage has an adjoining unit. 24693 Upper Trail Carmel. Built in 1951, this lovely Adobe and Wood home offers 3 Master Bedrooms with on suite baths, offering breath taking PANORAMIC Views from Carmel Valley to Pt Lobos to Pescadero Pt., Fabulous! Be prepared to take time and just be. Come feel the Zen and serenity of this peaceful property. Youâ&#x20AC;&#x2122;ll want to call Singing Pines home. Old World Charm Combines Rustic and Elegance – This secluded property located in the hills above San Juan Valley, is a great setting for individuals desiring a more private lifestyle away from the bustle of city life. The mission-style elements include arched entryways and windows to exposed wood beams and smooth finish walls with many recessed display areas; the rustic touches are offset by walnut hardwood floors and elegant in-laid cabinetry. Relax under the veranda with views extending far into the valley below or entertain guests with the outdoor kitchen and pizza oven. An elegantly modern home with all one could want, along with gorgeous panoramic views. Welcome to this architecturally stunning custom rebuild in desirable Willow Glen! Re-envisioned in 2017 with amazing attention to detail and custom quality touches that include an open flowing floor plan basking in natural light from all angles, wide plank hardwood flooring, soaring ceilings, recessed lighting, an abundance of Tuscan windows and skylights throughout, an expansive Chef Style kitchen and two elegant Master Suites on each level with exquisite baths. Ideally located close to quaint Lincoln Avenue and the many wonderful shops, restaurants and coffee houses. The Hart Mansion, downtown living at its best! Located in the heart of downtown Pacific Grove, the property has been used as a 58 seat restaurant and private residence. Built around 1893, as currently staged, the property features on the 1st Flr: a commercial kitchen, large dining room, breakfast room, sitting room, 2- half baths; 2nd Flr: parlor, dining, kitchen, full bath, laundry, and a bedroom; 3rd Flr: 3 bedrooms and a full bath. Look no further, everything is here for the taking! Drive through the custom entrance and you immediately note the Mandarin Orange Trees, The Persimmon Trees and the Meyer Lemon Trees that are all fully irrigated. Exit the car and approach the entry past the spectacular fountain. Be amazed at the manicured gardens with European Castle Amenities. Guaranteed to impress! And that is not all...you cannot ignore the formal dining room with the floor to ceiling windows with the custom plastered walls and columns. Gaze upward and see the magnificent chandelier that perfectly accents the room. This home is self contained. The owned 20,000 watt solar system creates a net zero house. Better than new. 3 years new with all the added upgrades you desire. Located in Auburn’s highly desirable Outlook community. This home is exquisite in every aspect. A custom designed contemporary masterpiece with high end modern architecture and finishes throughout. This 4 bedroom 3 1/2 bath includes a open great room concept with a gourmet kitchen, home office, formal dining, large bonus room, and covered decks. Additionally, this showcase home features an infinity edge solar heated pool with a beautiful water feature and a spacious home theater to entertain family and friends. Home is powered by a 9.3 kw owned solar system that will save you thousands annually. Located on private, flat lot accented with majestic heritage oak trees, this special build opportunity comes with fully approved plans for a ~8600 sq ft. contemporary estate home. A 6500 sq ft. five bedroom main residence is designed for quality family indoor/outdoor living as well as both small and large scale entertaining, complete with guest house, pool and bbq area and 2 car attached and detached garages. Brand New Modern Traditional Craftsman Style Home! Construction to be Completed by Summer 2019! Beautifully Planned 6,191 sf home on 22,000 SqFt lot, with Latest Designer Material and Amenities. 6 Bedrooms, 5 Full Baths and 2 half baths, 3 Car Garage, 5 Bedrooms on the Ground Level, Au Pair quarters downstairs along with a Plush Theater, Entertainer’s dream with full Wet Bar and Wine Cellar, Game room and Lounge open to a sunny Sunken Terrace. Formal Living Room & Dining Room overlooking the backyard with walls of windows, Expansive Great Room with stack-able walls of Glass that Open to the Loggia for Ultimate Indoor/Outdoor Entertaining. Chef’s Kitchen equipped with High End Appliances, Material and Fixtures and Breakfast Nook. Welcome Home to This Brand New High Tech, Modern Contemporary Masterpiece!, Located Next to The Prestigious Los Altos Golf and Country Club. Two Levels with Soaring High Ceilings, 5 Beds, 5 Baths, 4,565 Sq Ft . Gourmet Kitchen Features: Custom Cabinets, Quarts Counter tops, Over-sized Island With Striking Waterfall Edge, Stainless Steel Thermador Appliances & Dramatic Family Room with 13 Foot High Ceilings and Panoramic Doors that Provide Seamless Integration of Indoor/Outdoor California Entertaining Lifestyle. The Lower Level Includes: A Game Room With Wet Bar, An Expansive Office with Built In Desks, Custom Built Home Theater, Huge Exercise/Hobby Room and Glass Encased Wine Cellar. Stunning new single story Mediterranean inspired home on a private setting at the end of 20 ft wide driveway. High celling throughout out the house, bright and open floor plan with high-end finishes, very quiet home with private frond yard and back yard. 4 spacious ensuite bedrooms and 1 more bedroom with own bathroom. Exquisite craftsmanship with luxurious amenities featuring spectacular gourmet kitchen w/Thermador appliances w/large center island opens to dramatic spacious family/ great room creating the ideal gathering place and venue for todayâ&#x20AC;&#x2122;s casual lifestyle, elegant master suite with French door leading to the beautiful back yard, his & her vanity, 2 large walk in closets, curved archways, 9 inch wide planked oak flooring, surround sound and over 1200 sq. ft. patio. Nestled in the Cupertino Hills, this impressive home features stunning contemporary interiors and amazing mountain and valley vistas. Perfectly designed into the beauty of the natural surroundings, this luxuriously appointed home is a private oasis of comfort. The setting of approximately 5.28 acres is secluded yet incredibly convenient for access to all points in Silicon Valley.Abundance of natural light through grand picture windows unite the indoors with natural beauty of the outdoor setting. The spacious floor plan begins with a beautiful formal living room that anchors the center of design. Four en-suite bedrooms are ideally arranged including a restful master bedroom suite and private guest quarters. Unique opportunity for direct influence over the outcome of your own World Class residence currently under construction on one of the premier view sites in the new Highlands of Los Gatos community. This masterpiece of modernism will undoubtedly take its rightful place among the Bay Area’s most sought-after trophy properties. Skip the slow and painful planning process and focus on adding your own touches to make this the home of your dreams while working with one of the Bay Area’s premier construction companies and architects. Welcome to this Private Gated Country Estate in desirable Emerald Hills. Situated on a sprawling .40 Acre level lot, you will find this lovely traditional 2 story home and a separate guest cottage. The main home features ample natural light, a newly renovated chef’s dream kitchen with oversized island, open concept floor plan, wet bar, walk-in pantry, additional room upstairs - perfect for an office or nursery, master bedroom retreat with bay views and deck area, gleaming hardwood floors, 2 fireplaces, oversized garage area with workshop and additional storage, a metal roof and so much more. Don’t miss the fabulous gardens that surround this hidden jewel. Stunning home centrally located in the heart of Silicon Valley. Easy commute to Apple, LinkedIn, Google, and many other major companies. Rare 6 bedroom, 3 bath home features two spacious guest bedrooms and one full bath on the ground floor, formal living room, formal dining room, separate family room, high soaring ceilings, gourmet eat-in kitchen, master suite retreat, loft with built-in office, low maintenance landscaping featuring concrete pavers, wood deck, pergola, and more. Home is 18 years new, solar equipped, with central air and heat, and dual Nest thermostat. Excellent Sunnyvale schools nearby. Easy walk to Las Palmas Park featuring acres of green space, walking paths and newly renovated dog park. Own an amazing piece of history! Unbelievable opportunity mixed use residential and commercial recently remodeled, located in downtown Pittsburg. Across from John Buckley Square and Park and two blocks from the Marina. Currently the building has 1/3rd leased to La Veranda Ristorante Italiano, One two story residence, One studio residence, Several additional rooms that can be converted into additional studios or offices, 1/3 currently used as art studio and also has many options. Private courtyard perfect for entertaining and a fully finished basement. The building is the perfect mix of modern finishes and beautiful history... a must see! Resort style living in Saratoga Oaks at its finest! Walking distance to Saratoga Elementary and downtown! This light filled, east west facing townhouse is nested between downtown Saratoga and serene coastal foothills. Set behind a privacy gate, this spacious, model like home is stunningly spotless, with newer appliances, newer carpet, hardwood floor, and many quality upgrades. It offers the perfect indoor-outdoor living style with a cozy courtyard and three decks to sip your morning coffee. Enjoy the two pools, spa, clubhouse and tennis court, or a daily relaxing walk in the community. Award winning Saratoga Schools! This Ocean Front Dream Home features the best views in Northern California. There are beach views on both sides with full views of Half Moon Bay. Enjoy two wood burning stoves, sauna, bonus room, laundry and lots of parking. Just steps from jazz club, coffee shop, art gallery and the award winning Miramar Beach Restaurant. Watch the humpback whales migrate from the comfort of your living room. Commute to San Francisco or Palo Alto in about 40 minutes. Postcard Setting is the best way to describe this Dream Home! This fully landscaped Custom Mediterranean Villa surrounded by captivating beauty. Some of the appointments are; Stone trimmed garage and exterior, a private driveway, a courtyard entrance & balconies with views! Inside there is a dramatic foyer that flows into the grand Living Room, separate family room, dining room and wine room. Chef’s dream Kitchen with granite counters, custom cabinetry. The list goes on and on – A must see home! Located in one of the most sought-after areas in the South County Clara, this Entertainer’s Delight is only missing you! Stunning and stately Craftsman masterpiece from 1916. This property has been lovingly restored and upgraded to meet the demands of todayâ&#x20AC;&#x2122;s expectations, while embracing the wonderful features of the period and style of the home. A spacious floorplan with a large grand dining room, spacious eat-in kitchen, huge living room and a coy loft area. Ideal for entertaining with French doors that open to a large patio and pergola with many special yard areas around this corner lot property. Custom tile bathrooms and kitchen, plantation shutters, and solid oak and Douglas fir flooring. Located in the coveted neighborhood of Naglee Park. New Construction! 4 Custom built homes centrally located in the heart of Castro Valley. Situated on a private driveway at the top of Edwards lane. All homes are arranged to provide a sense of privacy for everyone and are set up for multi-generational living. Luxurious living spaces are perfect for entertaining & raising a family. All two-story floor plans present magnificent balance of space and luminous functionality with a touch of modern sophistication. 3 floor plans ranging from approx. 2,736 to 3,226 square feet, including 4 to 5 bedrooms, 3 to 4½ BATHROOMS and 2-3 car garages. Award winning Castro Valley School District. Your family dream home is here. Welcome to this wonderful 5 acre estate with residential home (2 beds, 1 Bath, approx. 979 sq. ft. with large basement) perfect for tasting room or Air BnB. Beautiful views of the valley, mountains and rolling hills! Property sits on a main road with high traffic count. Potential wedding venue. Approx. 3 acres planted with the following varietals: Cabernet Sauvignon (Approx. 50%),Tempranillo (Approx. 40%), Petite Verdot (Approx. 10%). 24 Oak Barrels in Use (2016-2018 Juice), 500+ Cases Bottled. Various wine making and farm equipment available. Don’t miss out on this opportunity! Welcome home to this stunningly remodeled home that has it all! This buyer’s dream with 2,200 sq.ft, 4 bedrooms, and 2.5 baths was remodeled (with permits) in 2014. Ideal floorplan, breathtaking views on one of the largest lots in the area. Finest upgrades and most sought after location! Blocks from the highly rated Monte Verde Elementary School, just a mile from local shopping and dining including Philz Coffee, local bakeries, and restaurants, the home is also a commuters dream with close proximity to Bart and freeway access. You will be amazed by the finishes inside this home. The layout has separate living, dining and family rooms with spacious bedrooms upstairs. Beautiful modern & Elegant home. Fully remodel 5/3 home with 2533 sqf on 8300 lot size in prime location in Campbell -rarely available. Open space concept masterfully designed. Spectacular chef kitchen and Samsung chef collection appliances, enormous island, glass door to back patio. Luxurious master suite includes doors to the rear yard, custom cabinet in walk-in closets, stunning bathroom with Dual Shower head. Close to downtown Campbell, HWY 17 & 85 , Excellent schools. Cape Cod by the Sea. Live in the desirable west side Miramar area of Half Moon Bay! Close to beach, restaurants, & trails. Cozy, yet spacious, traditional home has separate dinning, family, laundry room, 3 + bedrooms, 3.5 baths, & an extensive, spacious Master suite with bedroom, sitting room, office or exercise room, and bath! The home features hardwood floors throughout, French doors, 4 fireplaces with marble surrounds, dormer windows, ceramic tile work in bathrooms, a contemporary kitchen and a 2-car garage. All nestled on a private fenced, level yard with a deck and putting green, and less than a block from the Pacific Ocean! New Construction with solar panels!!!! 4 brand new homes with 3 different floor plans ranging from approx. 2,736 to 3,226 square feet, including 4 to 5 bedrooms, 3 to 4½ BATHROOMS and 2-3 car garages. Award winning Castro Valley School District. Your family dream home is here. Centrally located in the heart of Castro Valley. Situated on a private driveway at the top of Edwards lane. Custom 4575 sq. foot home on 10 gorgeous acres of horse property in Sun Ridge Meadows. This beautiful home lives like a single story with the master suite and 3 additional bedrooms on the main level. Upstairs there is a large bonus room, bedroom and full bathroom. The chef’s kitchen has an abundance of cabinets, plenty of counter space, stainless steel appliances, and a walk in pantry. The family room features a large stone fireplace and overlooks the pool and spa. Outside, the barn features 4 stalls, a hay room and a tack room. Not to be missed are the arena and fenced pasture. A 5 car garage and large OWNED solar array complete the features of this home . Sun Ridge Meadows offers miles of riding trails, community arena and pond. Magical ambiance and breathtaking beauty. 2bd / 3ba 1520 SF home and a fantastic 1500 SF private workshop / studio. 4.1 acre lot. Open plan kitchen, living room and dining room with exposed beam ceiling. Custom lighting and sweeping windows. Wood burning brick fireplace. Master Bedroom Suite with high ceilings. Master Bath has dual sinks and walk-in shower. Family room den could be 3rd Bedroom. French doors; Cathedral ceilings; abundant skylights; recessed lights. 160 SF detached storage structure. Expansive decking with Hot Tub & built-in BBQ. Magnificent redwoods & year-round babbling creek. Private estate feel with 2 gated entrances. New Construction with solar panels!!!! 4 brand new homes with 3 different floor plans ranging from approx. 2,736 to 3,226 square feet, including 4 to 5 bedrooms, 3 to 4Â½ BATHROOMS and 2-3 car garages. Award winning Castro Valley School District. Your family dream home is here. Centrally located in the heart of Castro Valley. Situated on a private driveway at the top of Edwards lane. Spectacular Brand New Custom built Contemporary Style home, in the desirable Community of Riverlake. Amazing Architectural plan with a Modern design. Showcase style staircase, classic modern cabinetry, Outstanding kitchen design with a huge island * An additional built-in spice kitchen * Top of the line appliances with a 60inch refrigerator and Thermador Cook Top Range! * Excellent layout with many picture windows throughout the house * Guest suite with walk-in closet * A formal office with a closet * Huge loft with a Balcony * Crown Molding throughout the house * This Home has been Built Expensively with precise perfection and details. Smart home for Modern Era * Home has Hide a hose central vacuum. Beautiful new construction on a spacious lot just over an acre with breathtaking views of the Sierra mountain peaks and the valley. This 3883 ft.² five bedroom, four bathroom home features a huge kitchen with custom cabinets, The kitchen opens up to a large great room featuring a gas fireplace with beautiful stone work. The formal dining room boasts beautiful craftsmanship with an arched entry and coffer ceiling. This Gardnerville Home is located in the beautiful Carson Valley, well known for its sunsets, snow capped mountains and smalltown charm only 15 minutes from Lake Tahoe’s Heavenly ski slopes and 50 minutes from Reno Tahoe International Airport. Breathtaking 5471 Southside Road in Hollister is a home and workshop you must see. Beautifully designed and one-of-a-kind, the 4,108 sq.ft. home has three bedrooms, three and half bathrooms, two kitchens - one on each level, open living and kitchen space, and more features to make your dreams come true. The master bedroom is located on the main floor and has dual bathrooms with a cedar floor walk-in closet. The kitchen is equipped with Viking appliances, tile and granite counter-tops, custom built-in cabinets, large island with breakfast bar, walk-in pantry, and open to the living space. The basement floor has two bedrooms, two full bathrooms, a laundry room, and another full kitchen with living space. Ranch style home situated on 3 flat acres with so many Possibilities!!! 3 Bedrooms with 2.5 baths, 3 Car garage, bonus room, open space Kitchen and plenty of space for family gatherings. Game room over the 6 stall barn. Huge outdoor building for shop, barn, fenced all around, own well, electricity and gas, etc. This unique home has so much more ...A MUST SEE to Appreciate!!! Nice set back from the street and beautiful views and more than 20 mature walnuts trees. Impeccable Ridgeview custom with lake and sunset views for miles. Soaring ceilings and pristine floors welcome you to this top to bottom remodeled home, where quality craftsmanship and designer finishes abound in an open floor plan awash in natural light. A box-beam ceiling accents the professionally appointed chefâ&#x20AC;&#x2122;s kitchen with custom walnut island then opening into the great room with ledge stone feature wall, unique finished cabinetry and accent lighting, complemented by a gorgeous wet bar. Exquisite master with private veranda to take in the magnificent view, a floor to ceiling, 3 sided fireplace and of course a luxurious spa-worthy bath with walk-in cave shower.An in-law unit with kitchenette. Impressive El Dorado Hills custom on over an acre. Quality craftsmanship abounds in this gem! Savor breathtaking views of the foothills and the El Dorado Hills Town Center as you relax on one of several balconies, where you can greet the sun or gaze at the stars. Perched on private lot with many beautiful oak trees and an abundance of fruit trees this magnificent home is ideal for entertaining with expansive living areas and open floor plan. Featuring Brazilian mahogany floors accented by cherry cabinets throughout the home. The magnificent chefâ&#x20AC;&#x2122;s kitchen offers beautiful granite and professional appliances with a large island. With a luxurious master suite on the main level, this home lives like a single story. A stunning 2016 Custom Built ZERO ENERGY Solar home in the desirable Winchester Country Club above Auburn. Fine European elements such as La Cornue gas range, Liebherr refrigerators, Carrara marble countertops, & Grohe fixtures in the stunning chefâ&#x20AC;&#x2122;s kitchen & separate pantry. Gorgeous mahogany hardwood flooring; library boxed ceilings; huge Game room, workout room, all cooled/heated by a 10.7KW owned Sunpower system. Fire sprinkler system and metal roof. New backyard stone wall, patio, grassy areas & landscaping. This striking home is nestled against a wooded hillside and has a commanding presence. It provides an elegance and contrast in architectural style within the renowned development. WATERFRONT MEDITERRANEAN CUSTOM ESTATE BACKING TO LIDO BAY...ONE OF THE BEST LOCATIONS IN DISCOVERY BAY WITH MILLION DOLLAR VIEWS!! Boasts 4 Beds + Home Office/Den + 3.5 Baths + Huge 3 Car Garage! (One Bedroom + Den + 1.5 Bath Located On Ground Floor) Gourmet Chefs Kitchen with SS Appliances, Granite Slab Counters, EatUp Breakfast Bar, Gas Range, Hood with Heat Lamps, Dbl Ovens & Center Island with Sink. Kitchen Opens to the Family Room with Stone Fireplace & Spacious Dining Area. Master Retreat Includes a Lovely Sitting Area or Office Space with Cozy 3-Way Fireplace & Overlooks the Water with a Private Covered Balcony! Enjoy the sunset overlooking Folsom Lake in your private backyard with refreshing pebbletec pool. The master bedroom is on the main floor. This 4659 sqft custom home has 6 bedrooms, 4.5 baths on approx. 1/2 acre lot. The main floor is highlighted by TimberCut Armstrong Hickory hardwood floors. The kitchen includes a Wolf Range, lots of storage and large island with sink. Other interior features include an office, huge “drop zone”, upper and lower family rooms. Outside highlights include 2 private balconies overlooking the lake, a basketball sport court, fire pit, large 3 car garage with one bay approx. 30 feet deep perfect for boat parking. For the buyer who wants it all, 2025 Meadowview Lane offers the convenience of living in the heart of Reno with the serenity of a rural lifestyle, and the charm of a vintage farmhouse that is tastefully updated and exquisitely appointed. An entertainer’s dream, the main home features a spacious kitchen that is open to the large dining room, a formal living room and a family room. Complete with a heated indoor pool, 3 outdoor entertaining areas with gas fire pit and waterfall/pond, and a separate 1 bed/1 bath apartment with full kitchen, there is little left to ask for. 10 minute walk to downtown Livermore restaurants, local award winning wineries, shopping, walking trails and parks. This rare gem offers 2,948 square feet of luxurious living space perfect for entertaining, raising a family and enjoying indoor/outdoor living. No detail is overlooked with this masterpiece. Arranged to provide a sense of privacy for everyone, this spacious 4 bedrooms/2.5 bath home offers a private master suite with a grand walk-in closet and peaceful balcony overlooking the tranquil, park-like backyard. The gourmet chef’s kitchen with granite countertops and stainless steel appliances offers functionality, style and convenience to its owners. Large family room off of the kitchen is perfect for the entertainer. Driftsong Single Family built by Warmington located in the Gated and Award-Winning Wallis Ranch. First floor bedroom and bath, perfect for in-law unit or office with a walk in closet and patio. Spacious living area with soaring ceilings. Features a spectacular chef’s dream kitchen with upgraded shaker cabinets, quartz counter tops & multi-purpose large island for prepping food, casual eating & entertaining. GE Profile stainless steel package include gas cooktop, built in microwave, oven, hood & counter depth fridge. Well-plan design with built in office area and open living concept. Spacious master bedroom with walk in closet, double sink vanity. Two additional perfectly planned bedrooms with a Jack and Jill bathroom with dual sinks vanity. This Gorgeous Custom home Boasts over 4000 sq ft of living space has 4 bed rooms, an office and a HUGE bonus/game room with wet bar and wine fridge. Brand new Remolded Stunning Kitchen with over sized Island with prep sink, farmhouse sink, Gorgeous Granite &Quartz (Caesar Stone) counters, coffee bar, dry bar, wine fridge, double ovens, eat in kitchen, walk in pantry, Jen-Air 6 burner pro top stove, all stainless appliances, split face stone back splash, CUSTOM solid wood cabinetry w/ antique white finish, so much more MUST SEE ! OVER $125k in kitchen alone. Rear yard offers a gorgeous pebble tech pool, a cabana with outdoor lighting, wired for speakers, fridge and grill, out door TV. Stunning single family previous model home located in the resort-living Wallis Ranch awarded for National Community of the Year. Home features 3 bedrooms plus possible 4th bed, 3½ BATHROOMS, 2228 sq. ft., built in 2016. Gourmet kitchen with beautiful creme cabinets, granite counters, stainless steel appliances, gas cooktop, built in oven/microwave & island. High end finishes include upgraded carpet, designer light fixtures, wood wall panels, custom window blinds & shutters. Huge bonus room easily convert to 4th bedroom or loft with full bath, closet, wet bar, sitting areas. Access to Wallis Ranch amenities include gated with pool, spa, gym, tot lot, fire pits, community garden, yoga lawn, trails and monthly activities! If Home is where the heart is, then come fall head-over-heels in-love with this incomparable estate! Nestled in the rolling hills of Lake Matthews, CA. The home provides views in nearly every direction for as far as the eye can see. Through the front entry step onto the Hardwood floors, a central theme throughout the entire home. Living in southern CA, Iâ&#x20AC;&#x2122;d be remiss to not mention the resort style backyard. This summer entertain all of your guest around your custom pool while simultaneously barbecuing and serving drinks at your personal outside bar. Located on a quiet lane, this home is merely three blocks to Loverâ&#x20AC;&#x2122;s Point beach, the recreational trail, and one half block to downtown shopping and dining; all the fun is just steps away! Fully renovated in 2012 and elegantly contained within approximately 1,100 sq. ft.; a covered porch, living room, dining room, kitchen and bath are located on the 1st floor; two bedrooms, bathroom, and viewing deck with seating area are on the 2nd floor; and the 3rd floor loft is a special bonus bedroom/office/den with a scenic view of the Monterey Bay. The attached single car garage with paver stone driveway is a premium convenience in this location. This charming home is situated in the Coastal Zone area of the coveted Retreat District. Nestled in highly sought after Blackstone Community, this stunning solar-owned home on a greenbelt offers unobstructed breath-taking, oak studded views of beautiful, rolling terrain for miles, where you can savor resplendent sunrises is truly spectacular! Showcasing a magnificent two story foyer, an extensive great room with a modern fireplace, impressive chefâ&#x20AC;&#x2122;s kitchen with a massive granite island, gorgeous expresso cabinetry and built-in GE Monogram appliances, this gem is sure to please! Luxuriate in the opulent master suite featuring a large retreat and private covered balcony to take in the view, the spa like bath offers an over-sized soaking tub and extra large walk-in closet. This home has amazing Folsom Lake views, city lights and backs to greenbelt with owned solar! This Custom, 3579 square foot home features 4 bedrooms, 3½ BATHROOMS, large bonus room downstairs along with a gorgeous pool and spa that is summer ready. The open concept kitchen/family is ideal for entertaining guests and enjoying time with family. Along with the solar, other upgrades include recent remodel of all bathrooms, kitchen, laundry and newer HVAC. There are great views from the Master Bedroom. With an updated deck, large 3 car garage and basketball court - this home has it all. Large downstairs master on a quiet cul-de-sac! This upgraded home located in the gated Serrano community features a gorgeous heated pool and spa. The 3688 sqft home is meticulously maintained with 4 bedrooms/3.5 baths, office, dining, family, breakfast, large laundry and 2 upstairs bonus rooms. The bright and spacious kitchen has stainless steel GE Monogram appliances with double ovens, Advantium oven/microwave, gas range w/ professional hood and walk-in pantry. The large private backyard features generous amounts of stamped concrete, courtyard off kitchen, beautiful landscaping/lighting, and a custom covered patio off master. Timbers Kaua‘i offers homes that take care of you, not the other way around. A place where you arrive to find your kitchen stocked. Your favorite wine chilled. And tee times at the Nicklaus course? Private lessons with a top local surfer? A paddleboard excursion up the Wailua River? All arranged by your personal concierge. Introducing home, Timbers-style. This advertisement does not constitute an offer to sell nor the solicitation of an offer to purchase made in any jurisdiction nor made to residents of any jurisdiction, including New York, where registration is required. Tower Kauai Lagoons LLC uses the Timbers Resort,® Timbers Collection® and certain other Timbers brand names under a limited non-transferable license in connection with the sales and marketing of the Hokuala Kauai™ – A Timbers Resort® (the “Project”). If this license is terminated or expires without renewal, the Project will no longer be identified with nor have any right to use the Timbers® marks and names. All renderings depicted in this advertisement are illustrative only and may be changed at any time. All rights reserved. This beautifully inspired French architecture luxury home is nestled in Paradise Valley. Private, wooded, serene setting located in the highly desirable west side of Morgan Hill. Secluded yet minutes away from charming down town, shops and award winning restaurants. This estate home features excellent design and craftsmanship, soft natural lighting, featuring exquisite granite, marble, rich hardwood floors, top of the line Decor appliances, high vaulted ceilings. Family room, bonus room, intimate warm wood burning fireplace, new HVAC system, assumable solar system. 2 Master Suites, 4 bedrooms total plus bonus room or 5th bedroom. The main master is conveniently located downstairs with his/her closets, sitting area, sumptuous deep soaking master, mini gym area with stunning views. 3 car garage, ample parking & storage. Breathtaking Brand New Modern French Chateau with Fantastic Curb-Appeal! Beautifully Planned 3580 sf home on 12,680 sf lot, with High End Designer Material and Amenities. 4 Bedrooms, 4.5 Baths, 2 Car Garage, One Bedroom Suite on Ground Level and 3 Upstairs. Beautiful Formal Living Room, Separate Office that could be the 5th Bedroom, Expansive Great Room, includes a Wet Bar and Wine Fridge with wall of Glass that Open to the Gorgeous Covered Patio for Ultimate Indoor/Outdoor Entertaining. Chef’s Kitchen equipped with High End, Modern Appliances, Leather Finish Granite Island, Quartz Counter Tops, Impressive Material and Fixtures with Breakfast Nook and Walk-In Pantry. Grand Formal Entry with High Ceiling throughout. Come see this extremely well-designed and finished custom single story home in a highly desirable neighborhood. 5275sf with 5 bedrooms 3.5 bathrooms den or office, plus flexible space. Expansive kitchen with granite slab counters, 6 burner gas cooktop, built in refrig/ freezer, island with leather finish and an additional sink. Master suite with granite counters soaking tub with jets, his and her walk in closets. Four spacious secondary bedrooms, two at each end of house. Additional flexible space located near the pool ideal as a pool retreat, game room or bonus room. Formal living and dining rooms. Almost 1 acre thoughtfully landscaped, pebble finish salt watersport pool, 2 solar systems. ÂŠIntero Real Estate Services, Inc., a Berkshire Hathaway Affiliate and wholly owned subsidiary of HomeServices of America, Inc. All rights reserve. 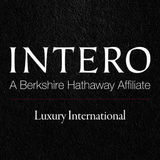 The logo is a registered trademark of Intero Real Estate Services, Inc. Information deemed reliable but not guaranteed. This is not intended as a solicitation if you are listed with another broker.